Properties: Fresh and sweet, warm, spicy, reminiscent of clove, not as pungent as other basil varieties. 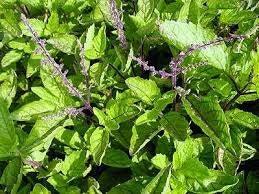 Resembles the basil that is commonly grown in the western countries and used for Italian cuisine. This variety is considered the most valuable of Basil. Extremely aromatic and stimulating. Used in many skin treatments, and is particularly effective in soothing and softening skin. Blends well with: lavender, clary sage, thyme, cedarwood, bergamot, geranium, orange, rosemary. May be strong skin irritant, avoid when pregnant. Do not use with children. Local exhaust avoid casual breathing of vapors. Please feel free to contact us with any questions.ny recipe, it is always recommend you do your own in house testing. Testing in house will allow you to adjust formulas to create your own quality finished products. Spicy basil scent. Great quality. Will be using in a lot of tonics. Great quality. I am always happy and satisfied when buying from here and will continue to buy from her. Highly recommend. Excellent arrived REALLY fast and very happy with oil.